Some might say that Sunderland gets a bit of a bad deal compared to Newcastle and for many years the good folk of Wearside have had to watch whilst the Toon enjoys a never ending amount of redevelopments, new concept restaurants and exciting new bars. So I'm very excited to be able to tell you all about The Palm, Sunderland's brand new multi purpose venue which is completely different to anything else I have seen in the North East. 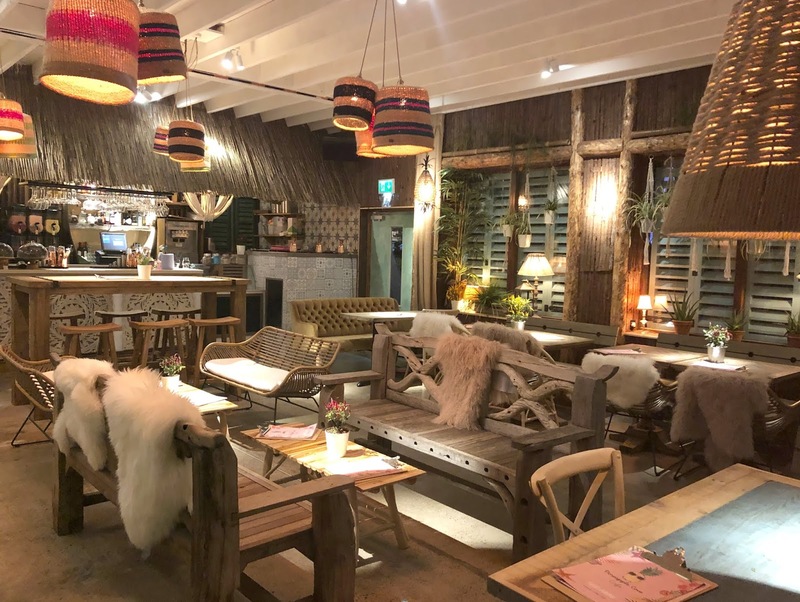 The Palm has been created by the people behind Le Petit Chateau, As You Like It and The Holy Hobo so, as you would expect, it really is dressed to impress and you get the wow factor as soon as you approach the building. When I shared a photograph on my Instagram a few people commented that The Palm reminded them a little of Dubai and I have to say the dramatic palm tree lined paths and large archways did make me feel a bit like I was going on holiday. If it hadn't been for the wind and rain I could easily have forgotten I was in Sunderland! The Palm is made up of five completely different venues all under one roof. 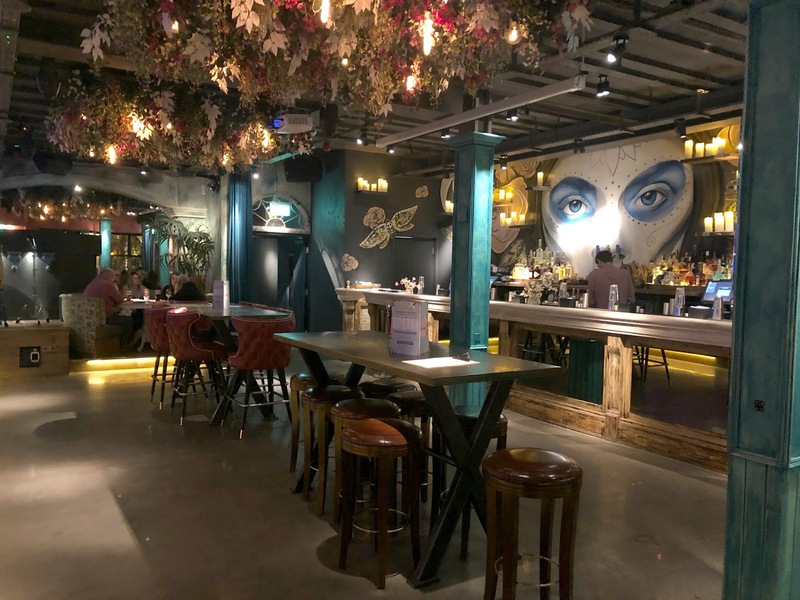 The much loved Liberty Brown (Steakhouse and Kitchen), The Street Food Garden, Pineapple Cove Cafe (serving brunch, desserts and coffee), Tropicana (Carnival Bar and Tapas) and Wildernest (Bar and Lobster Cabin). Each venue has a different vibe and I have to say after having a nose at all of them, I'm definitely keen to experience them all. There aren't many places you can visit where you'll enjoy a completely different and unique experience each time you go back. 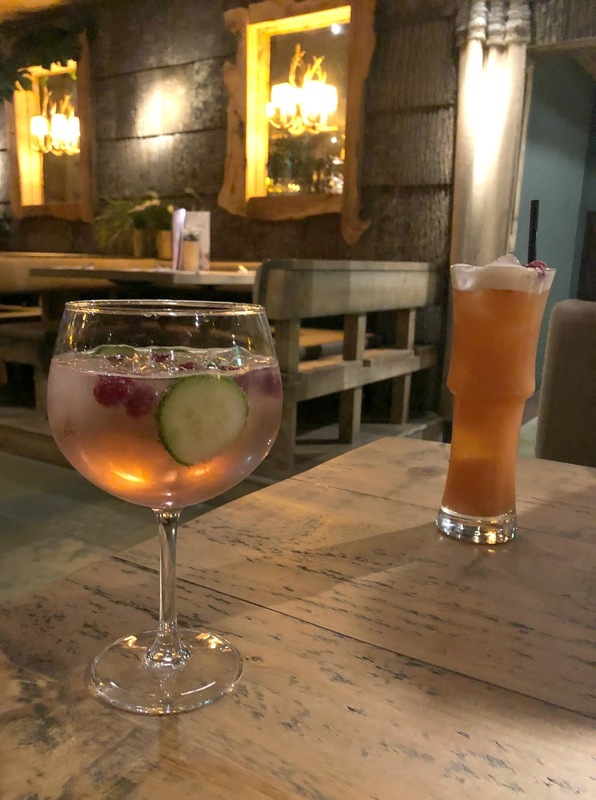 For my first visit to The Palm I had a table booked at Wildernest, the Bar and Lobster Cabin lovingly described as a treehouse for grownups and I have to say it's the cosiest place to spend a Winter's evening. Complete with warm glowing lights, faux fur throws, wooden furniture and, of course, plenty of foliage. Can I just move in? Using the bad weather as my perfect excuse (believe me I'll always find one!) I decided to go big and do three courses. Taking my time to peruse the menu whilst sipping on a delicious Gin Cocktail, as with all the Apartment Group restaurants and bars these guys make a damn good cocktail and there was plenty of choice. 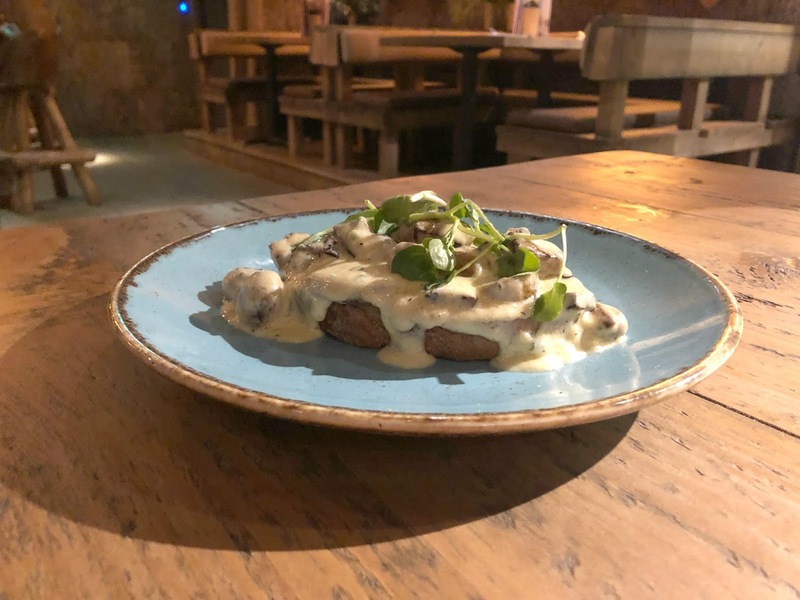 I started with the Wild Mushrooms on Toast (£5.95) - foraged wild mushrooms in a garlic, white wine and cream sauce on toasted local sourdough. It was absolutely loaded with creamy sauce so a very indulgent way to start the meal. I do wish there had been slightly less sauce to bring out the taste of the mushrooms but nevertheless I cleared the plate and really enjoyed it. 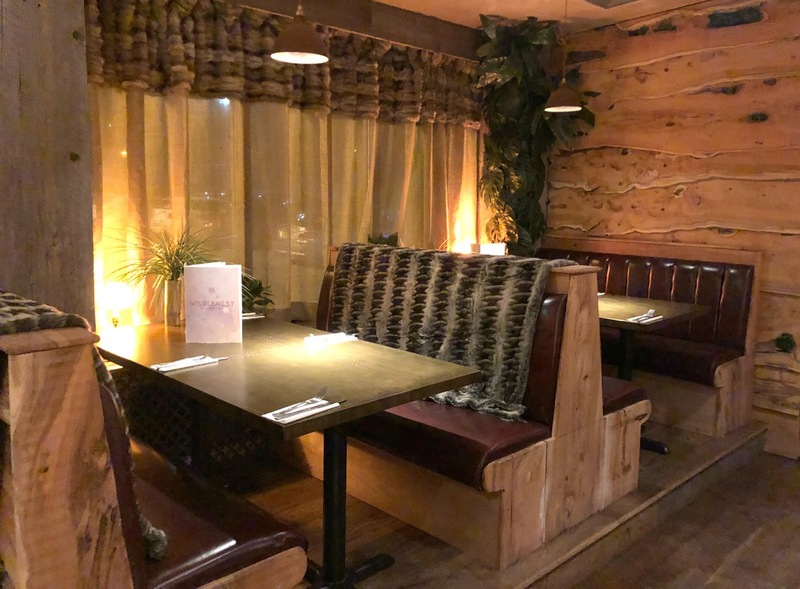 If you really want to experience a fancy evening out at Wildernest then the Lobster Cabin will be right up your street. Serving local North Sea lobsters from Whitley Bay and Hartlepool there are some delicious sounding dishes on the menu including Full Lobster for £34.95. Although I do kind of regret not giving the Lobster a go (I've never actually tried it!) I decided that Winter comfort food was in order and was very excited to order the Mince and Dumpling Pot (£12.95). I had just started dreaming about the delicious Thyme and Onion Dumplings when our waitress returned to inform me that the kitchen didn't have the necessary ingredients to be able to serve the dish that evening. Gutted! So, after looking through the menu again I opted for the Handmade Pie (£10.95) only to be told 10 minutes later that they'd just sold the last one so that wasn't available either. I was a little stuck at this point because I had got myself so ready for a comforting Winter Warmer that I was struggling to find anything else on the menu that packed the same kind of punch so ended up going for something completely different. 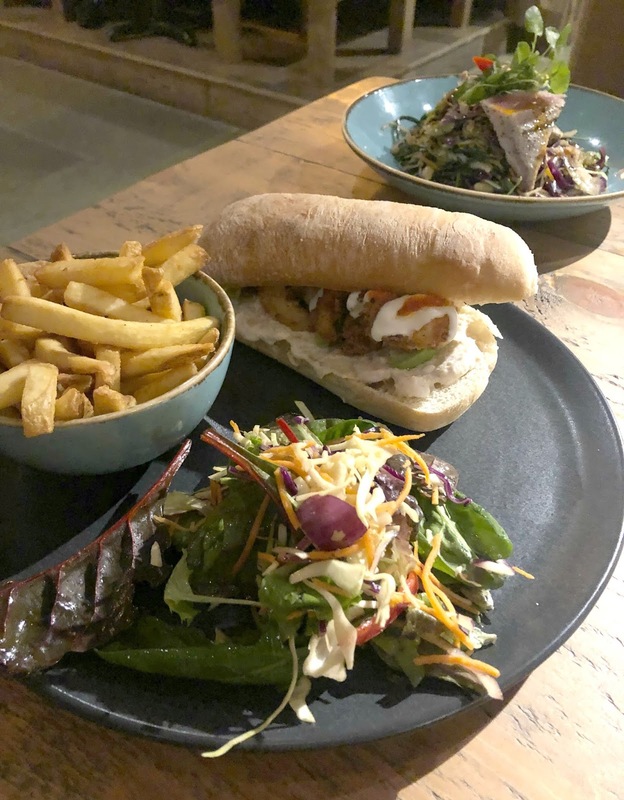 The Popcorn Shrimp Po Boy (£11.95) - Ciabatta Bun loaded with popcorn shrimp, fresh avocado, gem lettuce, chunky crab mayo and a sprinkle of Tabasco served with salad and seasoned fries. It was perhaps the disappointment of not being able to have what I really wanted that left me a little underwhelmed by my alternative dish. The salad wasn't great and although I did enjoy the Popcorn Shrimp it wasn't Mince and Dumplings and I think I wasn't really in the mood for it. I actually think I need to return for the Mince and Dumplings just so that I can give you some proper feedback on a dish I'm keen to try. 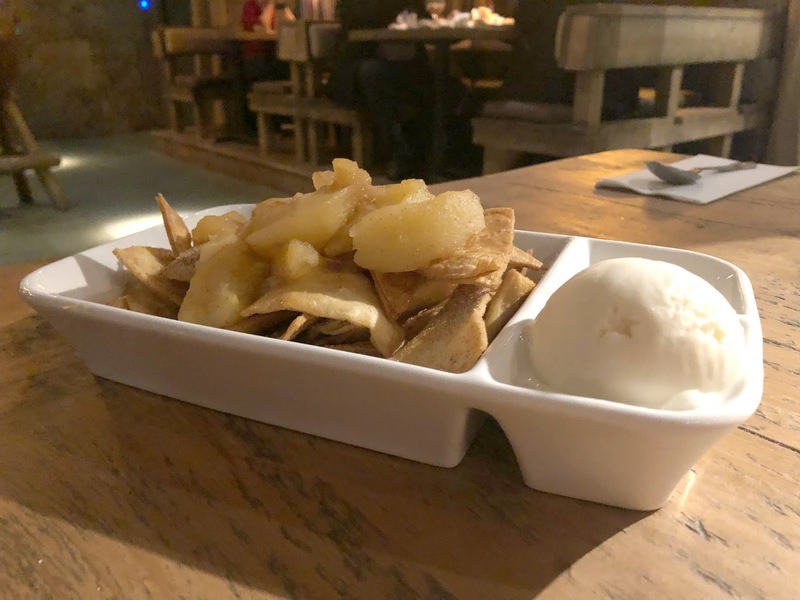 The absolute star of the show for me was the Apple Pie Nachos (£4.95) - cinnamon and sugar coated sweet nachos served with slow stewed apples and a helping of custard and vanilla ice-cream on the side for dipping and scooping. Oh wow! The dish was so more-ish and absolutely huge, it would actually be a fantastic choice to share because I really couldn't manage it all on my own but couldn't stop myself going back for more and more. In the end I had to move it out of reach to stop myself having more. I've never seen anyone else serve sweet nachos but think they definitely need to start appearing on more menus. Although my first visit to The Palm wasn't without its glitches I will be returning to experience the other parts of the venue. I really fancy enjoying a slice of cake on a tropical beach and spending the night sipping cocktails in Tropicana. I was treated to a complimentary meal and drinks for two in exchange for this honest review. I love the sound of a lobster shack so much (Steve would have been gutted about the lack of mince and dumplings too though). I'm intrigued about the sweet nachos - definitely a USP. We took the kids to Liberty Brown for Sunday Lunch a few years ago and had such a good time. I have literally been craving mince and dumplings every night since! I need to get on that ASAP! I wasn't sure how they'd be but they were so so good!